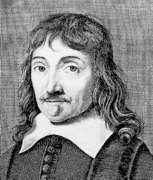 After receiving a sound education in mathematics, classics, and law at La Flèche and Poitiers, René Descartes embarked on a brief career in military service with Prince Maurice in Holland and Bavaria. Unsatisfied with scholastic philosophy and troubled by skepticism of the sort expounded by Montaigne, Descartes soon conceived a comprehensive plan for applying mathematical methods in order to achieve perfect certainty in human knowledge. During a twenty-year period of secluded life in Holland, he produced the body of work that secured his philosophical reputation. Descartes moved to Sweden in 1649, but did not survive his first winter there. 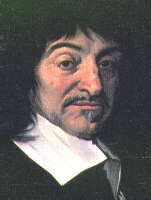 Although he wrote extensively, Descartes chose not to publish his earliest efforts at expressing the universal method and deriving its consequences. The Regulae ad directionem ingenii ( Rules for the Direction of the Mind ) (1628) contain his first full statement of the principles underlying the method and his confidence in the success of their application. In Le Monde ( The World ) (1634), Descartes clearly espoused a Copernican astronomy, but he withheld the book from the public upon learning of Galileo's condemnation. Descartes finally presented (in French) his rationalist vision of the progress of human knowledge in the Discours de la méthode pour bien conduire sa Raison et chercher la Vérité dans les Sciences ( Discourse on Method ) (1637). In this expository essay, Descartes assessed the deficient outcomes of a traditional education, proposed a set of rules with which to make a new start, and described the original experience upon which his hope for unifying human knowledge was based. The final sections of the Discourse and the essays (on dipotric, meteors, and geometry) appended to it illustrate the consequences of employing this method. 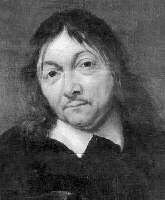 Descartes' life and works by Kurt Smith. Descartes' epistemology by Lex Newman. Descartes' modal metaphysics by David Cunning. Descartes' Ethics by Donald Rutherford. Descartes' ontological argument by Lawrence Nolan. A thorough article in The Internet Encyclopedia of Philosophy. The Descartes Web Project from Patricia Easton and Kenneth Brown. A section on Descartes from Alfred Weber's history of philosophy. Stephen H. Daniel's discussion of Cartesian epistemology. Clodius Piat's discussion in The Catholic Encyclopedia. A paper on Cartesian dualism by Zuraya Monroy-Nasr. Robert Tremblay's discussion at Encéphi (in French). A discussion of eternal truths from Floy E. Andrews. A paper by Juan Carlos Moreno Romo on the Cartesian Circle. Discussions of mathematical contributions at Mathematical MacTutor. David Wilkins on the significance of Descartes's mathematical thought.